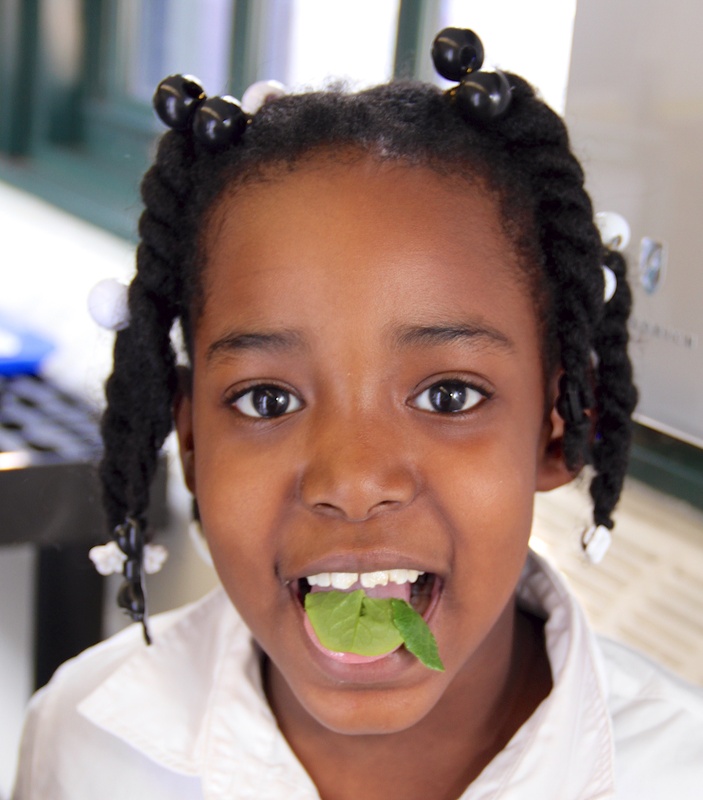 Science You Can Eat is a hands-on cooking and nutrition education supplement to NY Sun Works’ Discovering Sustainability Science Curriculum series. Science You Can Eat features lessons that focus on the benefits of simple and nutritious cooking using local ingredients. In addition, the curriculum showcases produce that benefits students’ health, including its medicinal components. Science You Can Eat aims to introduce students to the basic science behind what is on their plate, to know where it comes from and how it benefits their own well-being. Science You Can Eat is organized by seasons with recipes focusing on crops grown by the students in their Greenhouse Project hydroponic science labs. The Greenhouse Project Community Almanac is a collaborative, citizen-science resource and curriculum developed by New York Sun Works in partnership with the Manhattan School for Children, PS 333. It is inspired by the classic structure of a Farmer’s Almanac and based on essential questions that complement NYS Science Standards. This curriculum introduces students to cutting-edge technology and connects science and the environment through the lens of sustainable urban farming. Our objective is to inspire students to ask questions, investigate systems, make predictions, and design solutions. The Greenhouse Project’s Community Almanac is available to educators at our Teacher Training and Professional Development Program as well as to partner schools of the NYSW Greenhouse Project. In addition, NY Sun Works offers an enrichment opportunity for ELL (English Language Learner) students during after school hours. This Enrichment Program provides not only a space to discuss content addressed during traditional instruction hours in the Greenhouse Classroom setting but most importantly it offers an opportunity to deepen and expand this knowledge through field trips and exposure to STEM careers. The Enrichment Program consists of 20 hours of field trips and special guests visits designed to support the ELL student. The destinations are scheduled to expose students to new businesses in urban farming as well as sustainability science related topics. Students also experience the application of STEM in the real world, including their local communities. In the NY Sun Works Enrichment Program, ELL students are cognitively engaged and challenged as they explore current issues of urban sustainability and STEM career opportunities. The experiences during field trips foster critical thinking skills and English language conversations among peers and adult-facilitators in a non-traditional setting. The Enrichment Program includes professional development to ensure teacher’s preparation and capacity of interaction to support the student’s full participation and to achieve a successful program implementation.